Experts agree that ductwork installation is a critical procedure in furnace and air conditioner installation to ensure that you get the best air quality. Air ductwork installation for heating and cooling system is often given a miss during the primary installation as it often believed that the procedure plays little or no role in the efficiency of the HVAC units. However, studies on flue temperature and vent pressure show that properly installed ducts not only play a critical role in ensuring the best air quality but also contribute to HVAC efficiency. Not availing professional ductwork installation can have major repercussions on the design and structural stability of the furnace and air conditioner. When air starts leaking from your HVAC system, it is time to opt for immediate preventive maintenance as per the recommendations of the HVAC contractors in Toronto. Here are 4 common problems faced by the furnace owners who failed to put attention on the professional ductwork installation. The sealant from the ductwork start peeling away as the furnace starts operating for more than 8 hours. The dry-wet conditions can cause severe damage to the ductwork in case the ducts are not sealed properly. A lot of air starts escaping from the system. This is a major reason why poorly installed ducts cause energy bills to shoot off. Poor ductwork installation during HVAC set up can have a serious negative issue on the noise and vibration levels during peak operations. Poor duct design can cause vortex inside the duct which can be resolved by either removing or replacing them. Noise and vibrations find their origin in the bends, the connections and the ends of the ducts. Another issue with poorly ductwork installation is the bad odor that emanates from the vents when the air conditioner and the furnace run on full pace. Apart from the bad odor, HVAC systems with poorly installed ducts are also prone to dust settlement which blows out when the air conditioner start running. During the colder season, the dust in the air can cause respiratory and skin diseases. Cracks in the duct also attract pests, rodents, insects and even pets. If the ductwork installation is not done properly on the outside, it can lead reptiles and birds into the system. If they fail to move out, they usually die out and start rotting inside. It not only causes bad odor but also becomes a source of disease. 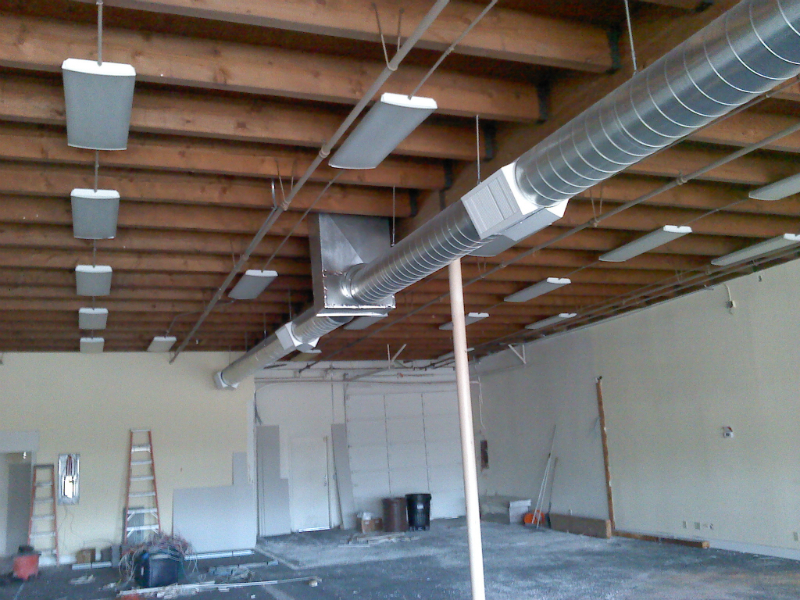 A good HVAC contractor in Toronto offers extensive ductwork installation and cleaning services at a nominal cost. In most cases, the ductwork installation is covered in the rental package if the user buys it from a furnace sale.